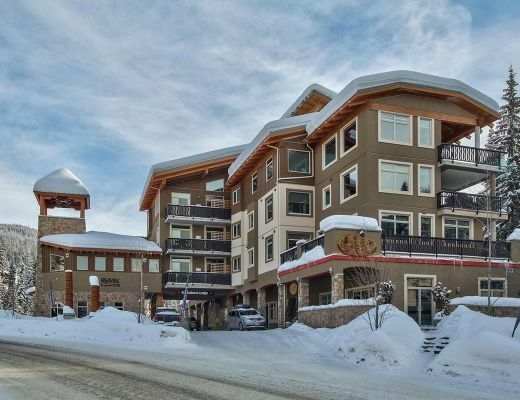 This one bedroom high-end apartment offers premier accommodation in the village centre with breathtaking views of the surrounding mountains. 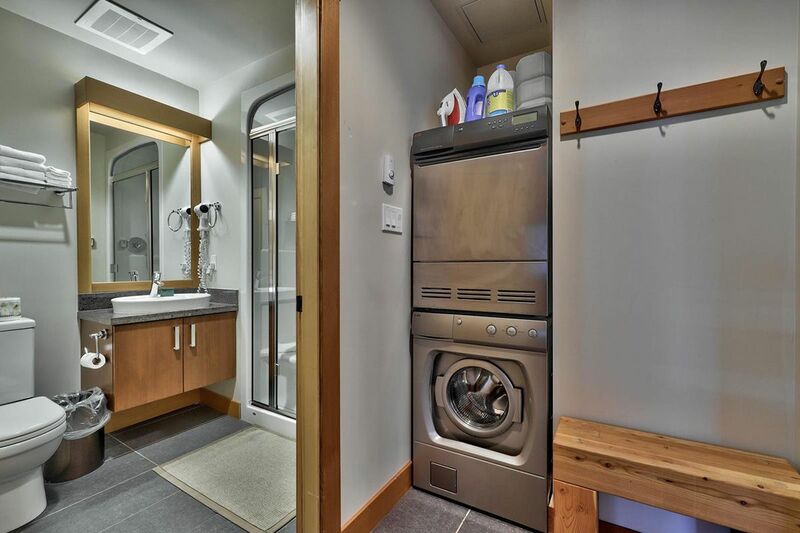 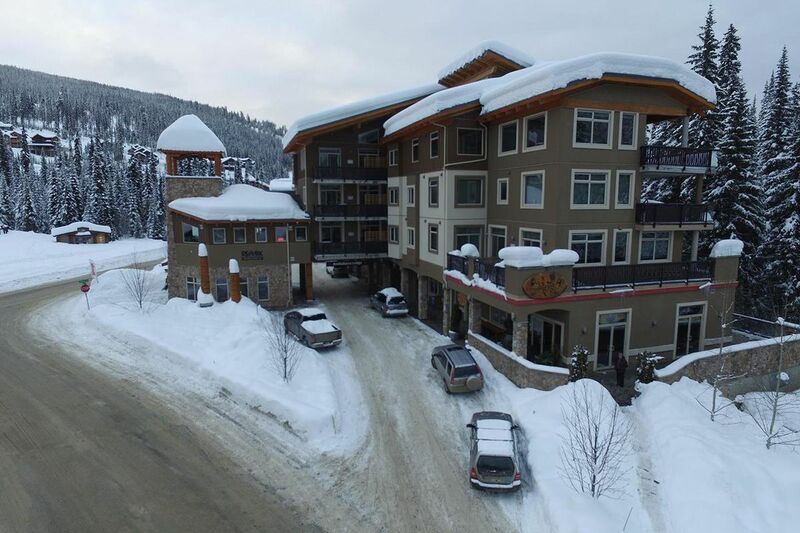 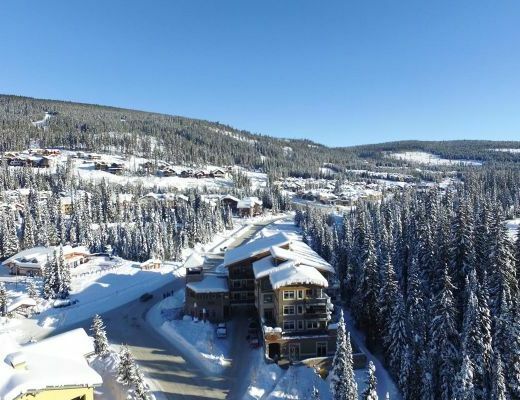 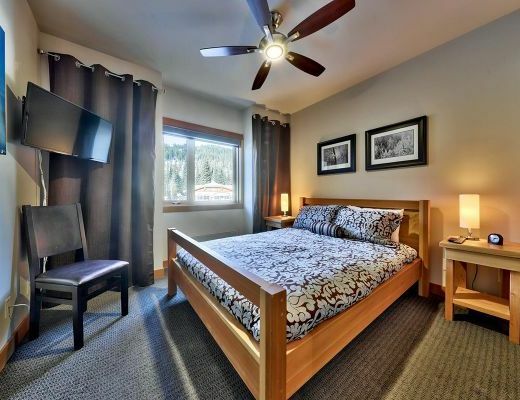 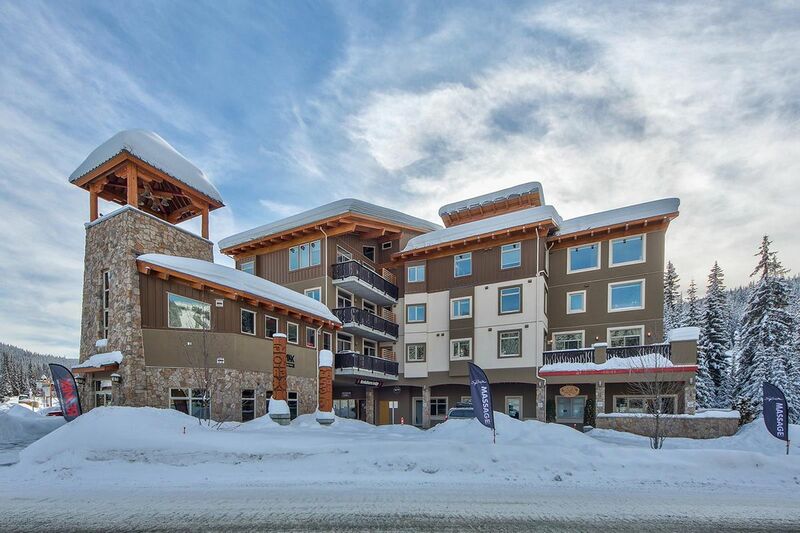 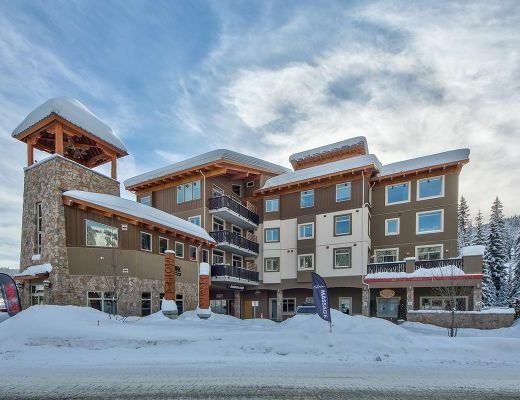 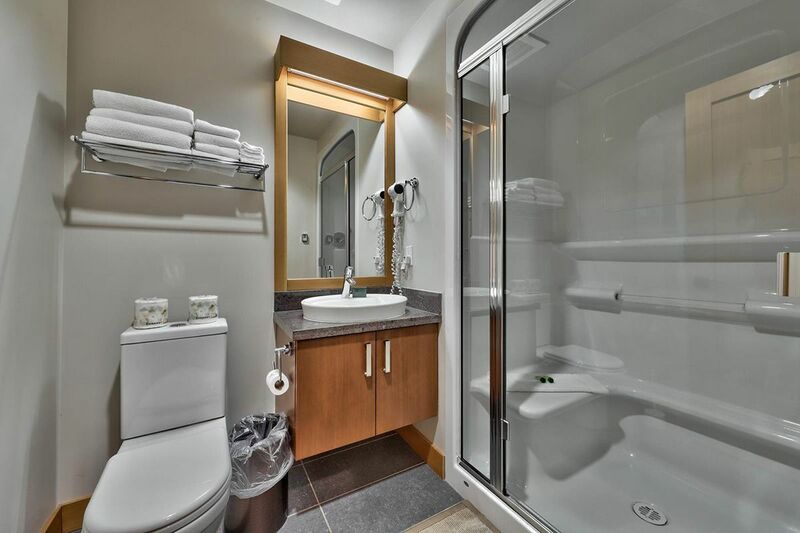 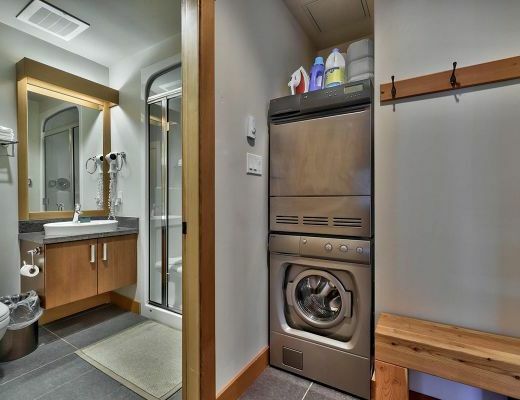 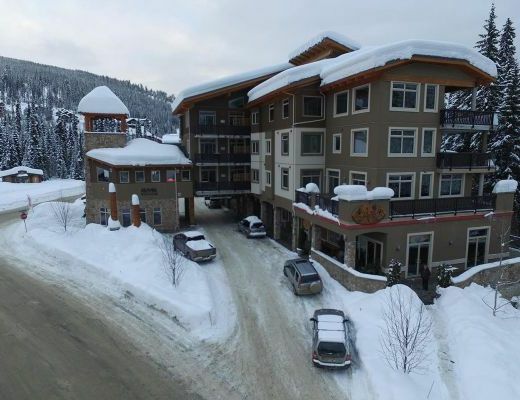 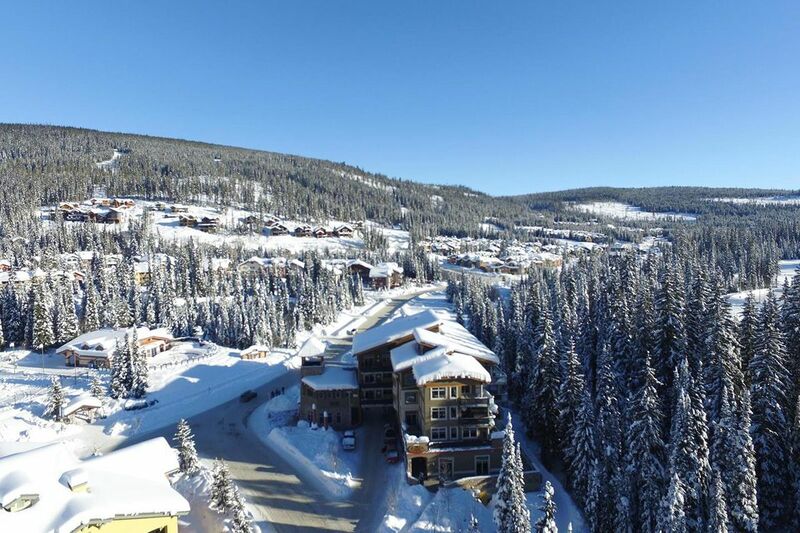 It has easy ski-in/ski-out access to the main lift area and features a full kitchen, 1 full bath, washer/dryer, 1TV/1DVD, complimentary Wireless Internet Access, electric fireplace, ski locker and underground parking. 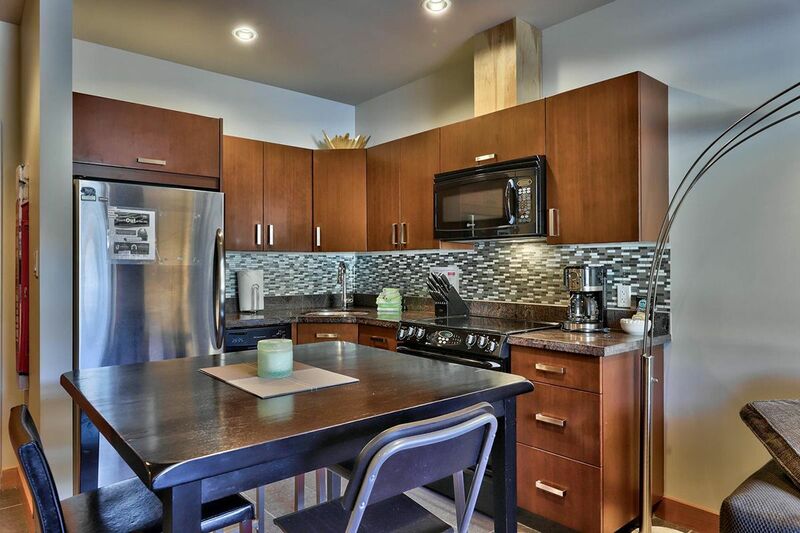 The dining room table seats 4 people. 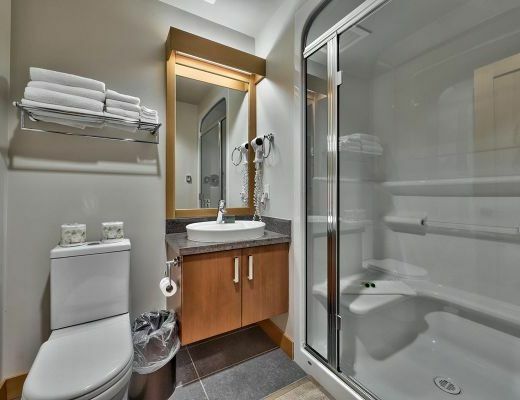 This 506 sq. 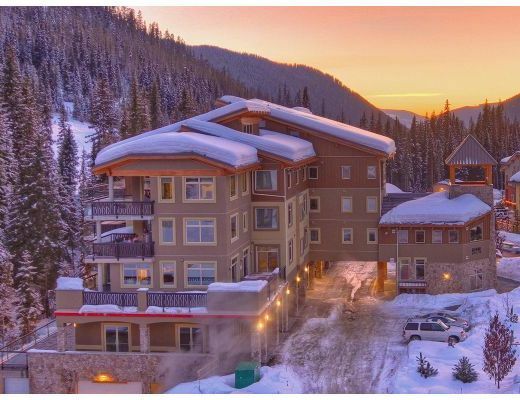 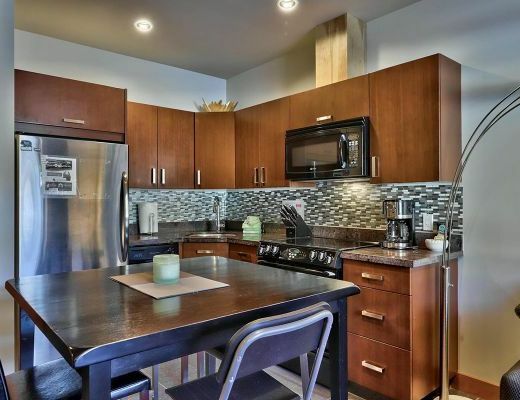 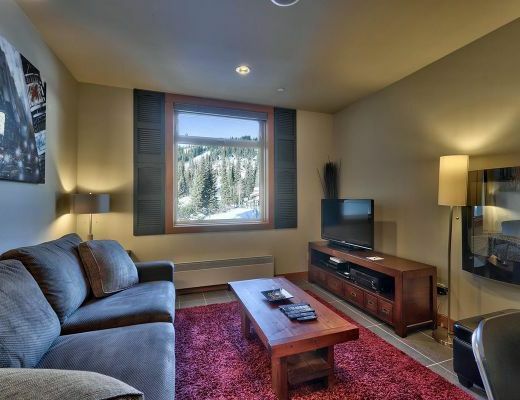 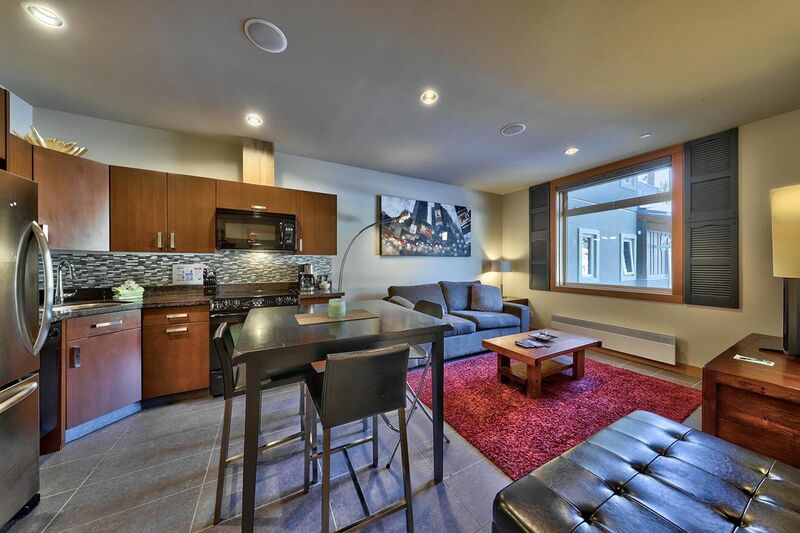 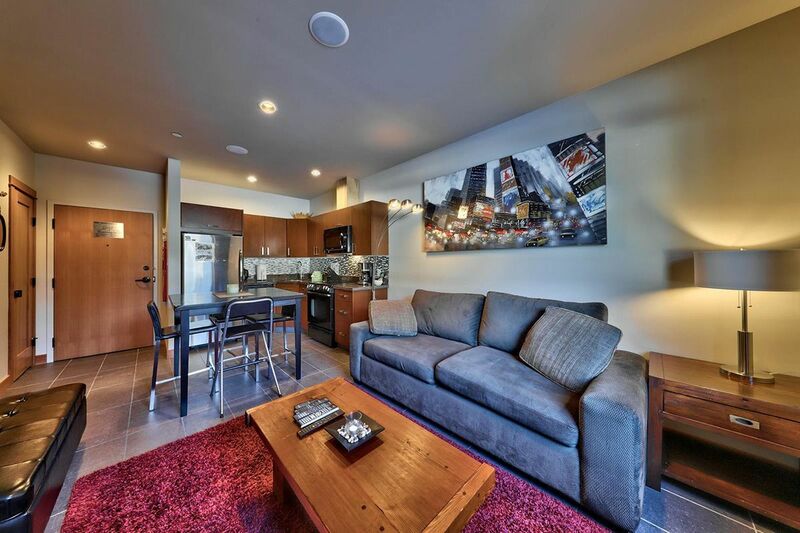 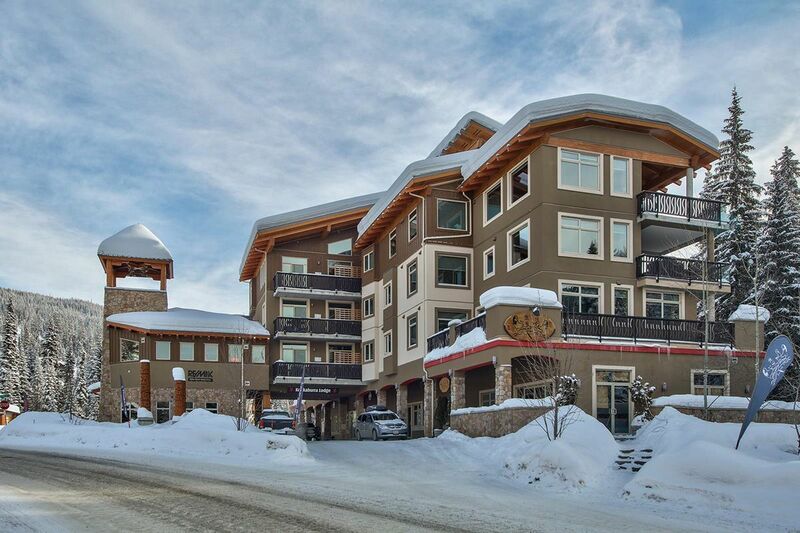 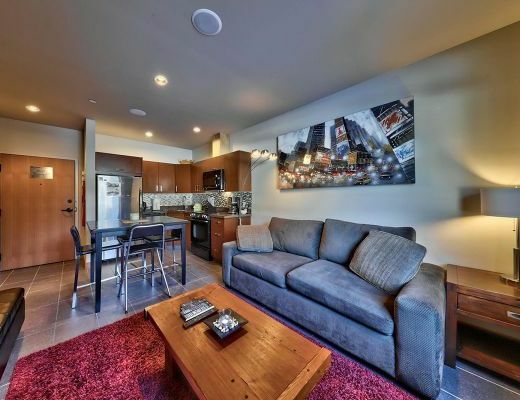 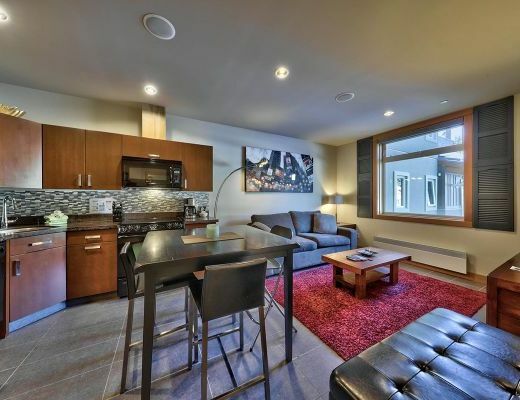 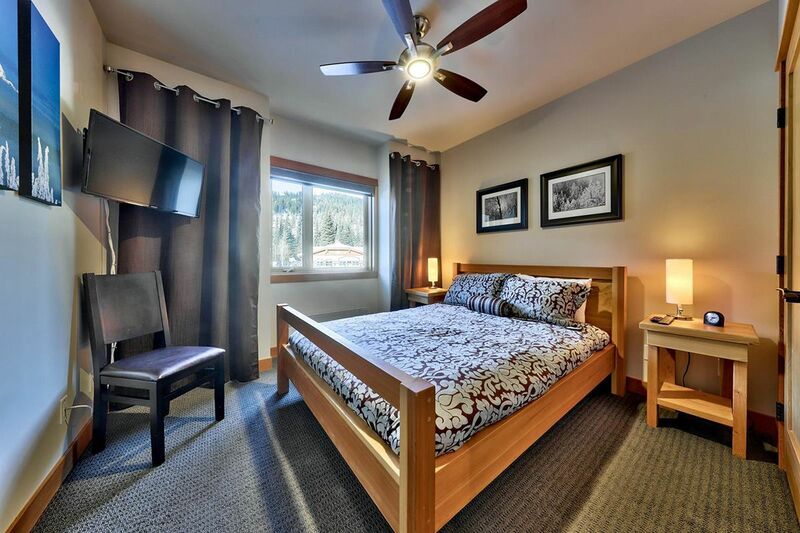 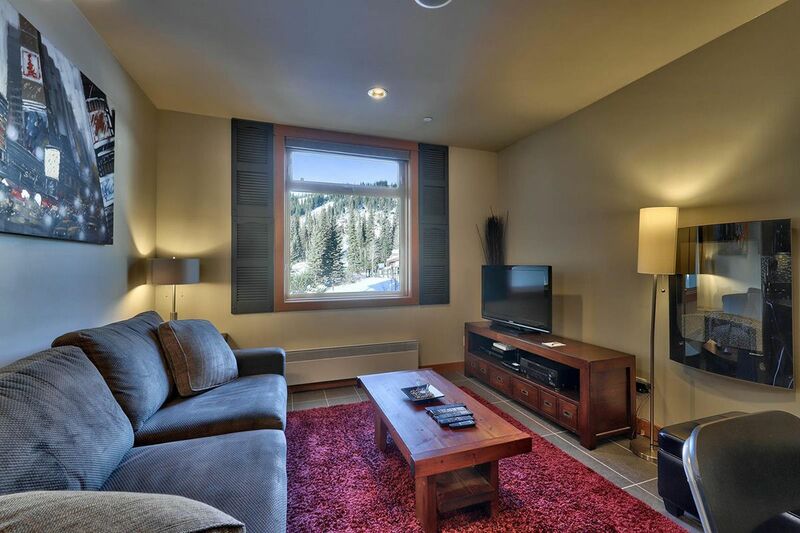 ft. apartment faces Tod Mountain and Sundance Mountain and accommodates 4 people. 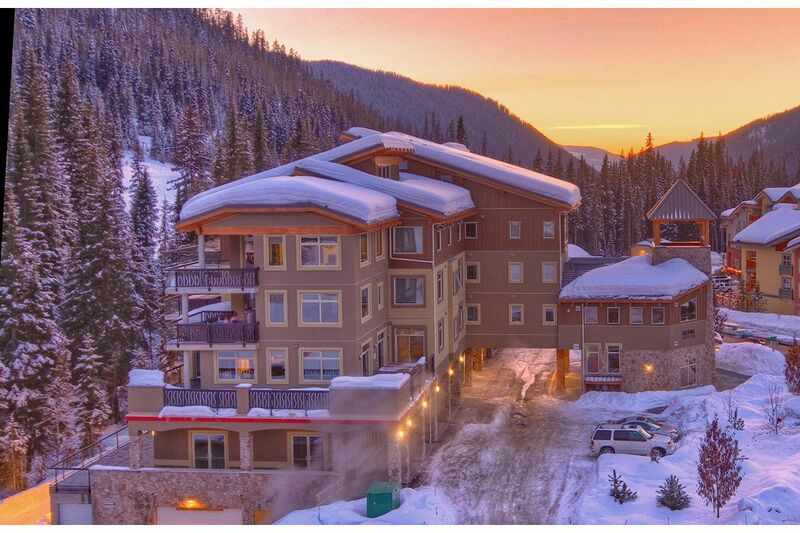 No pets and no smoking.